The hatred and persecution of Christians in America is growing at an exponential rate. 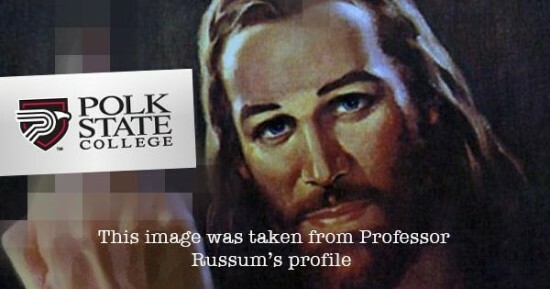 Because this student would not submit to this Marxist professor’s view of Christianity, she received four zeroes on four papers, which is unheard of, unless of course the professor is making a political statement – which he was. The Dean of Academic Affairs Donald Painter sees nothing wrong with the materials or the course and condescendingly told the parents of this 16 year-old, ‘too bad you got offended, but you knew what the course was like,’ or something to that effect. Being a professor is not open season to belittle and punish students merely because they do not subscribe to the professor’s radical opinions,” Mat Staver, founder and chairman of Liberty Counsel, said in a press release. And he’s absolutely right. Russum and the college both should have to apologize in writing to the student and her parents. Her grades should be reevaluated as well. The course and materials are being investigated now by the Liberty Counsel. The school would be wise to cooperate or they are going to find themselves in court and they will lose. This professor is an anti-Christian/Atheist and an uber Progressive/Marxist. In my opinion, he should not even be teaching much less be allowed free reign in creating curriculum and courses. This is religious discrimination pure and simple and has no place in any of our schools, period.